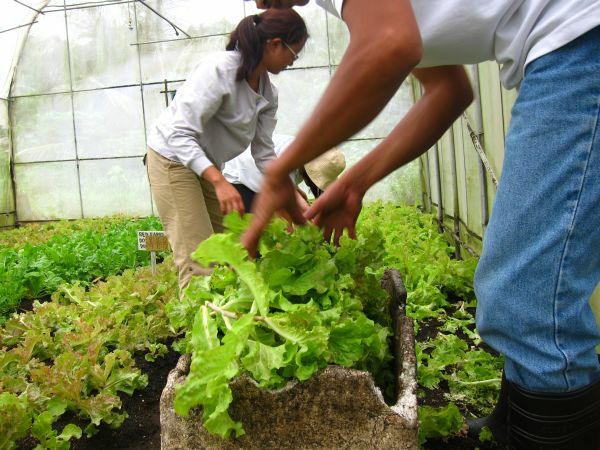 Growing and raising food – whether crops or animals – requires lots of inputs. You need land, water, energy, and labor. One-third of the global food production is wasted every year – roughly 1.3 billion tons. When you waste food, you wasted all the inputs needed to produce the food in the first place. Mid- to high-income and low-income countries waste comparable percentages of food but they differ in when the food is wasted. Consumers in low-income countries waste little of the food they buy, but farmers in these areas lose a lot in the production stages through the lack of storage facilities, plant or animal disease, and lack of transportation from the farm to the market. In comparison, farmers in high-income countries have good infrastructure in place (so less loss at the farm-level) but consumers tend to waste food simply because they can afford it (TABLE 1). Food products may be rejected by retailers for simply being the wrong color, shape, or size. Food is the product of our planet’s resources but our ever-growing population is consuming more and more. Because of this, we cannot waste any of the food that we do produce. The great thing is that reducing your “foodprint” is not just good for the environment, but good for your wallet as well. So what can you do? Make a plan. Creating a meal plan for the week and sticking to it means you know exactly how much food you need to buy and what’s in your refrigerator at any given time. Buy locally. Locally-grown and raised food means fewer transportation miles, decreased losses from lengthy handling periods (so more bang for your buck! ), and increased support for the local community. Over half of El Nido Resorts’ fruits and vegetables come from farmers in El Nido town and all of the unprocessed meat comes from the El Nido Meat Association. We also have our own greenhouses (where all of our salad greens come from) and small organic farm. Buy in-season fruits and vegetables. Maximizing the food that is abundant now means less unsold stock to be thrown away. Stop being so picky. Supermarkets and other retailers reject great-tasting food for purely aesthetic reasons because they believe that their customers won’t buy tomatoes that aren’t perfectly red and round nor mangoes that have a few black spots on the yellow skin. By buying food that looks less than perfect (but still tastes great), you’re letting retailers know that there’s a market for it. World Environment Day 2013 is on June 5, 2013. With the theme “Think. Eat. Save – Reduce your foodprint!”, there’s no better time to learn more about the impacts of food loss and food waste on the environment and food security. Register to join a WED activity today! *If you liked this post, please comment, share, Like, and/or tweet it! What are you doing for World Environment Day? Read all articles by Macy Anonuevo.